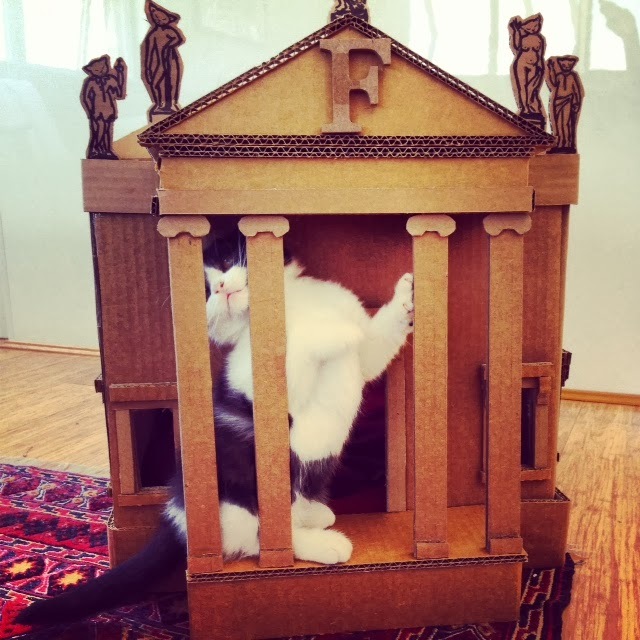 Since my last post about a project in which I made a miniature Palladian villa for my new kitten, little Frankie Mayonnaise has finally arrived. By popular demand from several of my lovely followers, here is an update. I'm pleased to say Frankie Mayonnaise loves her castle. 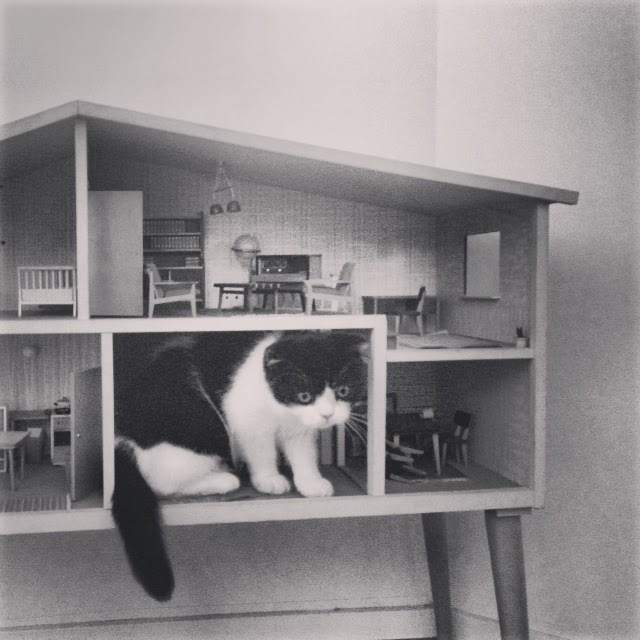 She is also quite fond of dollhouses (although that is mainly because she likes to destroy them). Aww, what a cute little kitty! 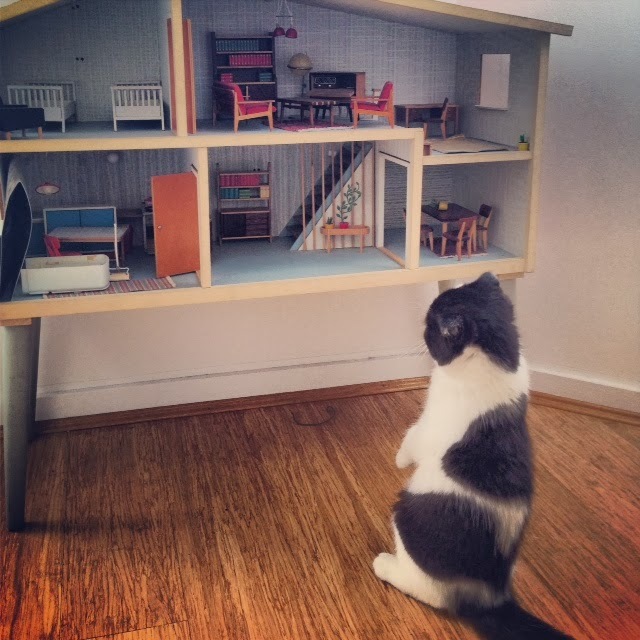 My cats leave my dollhouses alone...one of them is way too big to fit inside any of them and the other is claustrophobic! Que simpático es tu gatito!!! Debe sentirse como un rey en su castillo, me encanta!! Hi Emily, I love the name of your kitten, it does me think of French fried potatoes and creamy mayonaise :D LOL! What made you to give her such a fun name? Love her castle and I think she is very fond of it, but please, keep her away from your dollshouses, they are way too beautiful to be destroyed by this little kitten.... 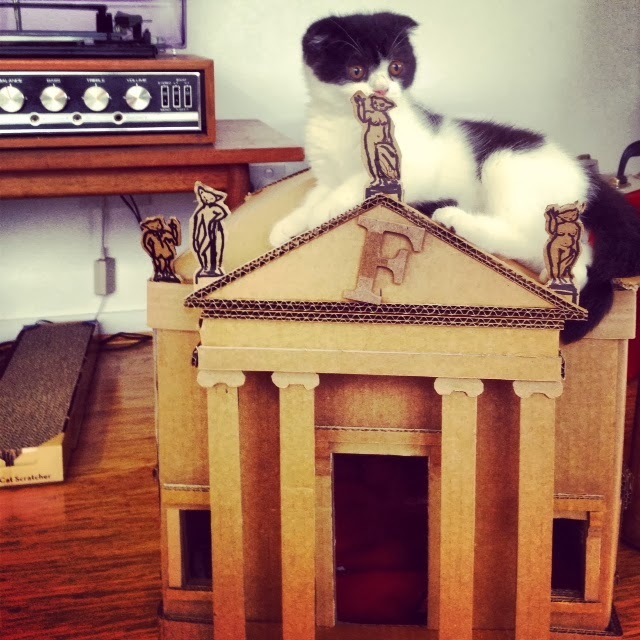 Thanks for sharing her castle and your kitten :D! That's a little rascal and I fear she'll be a big rascal in a few month :)))) But with this face and this absolutely wonderful name one can't be angry with her. Perhaps with this beautiful palace, she thinks, she is a little princess and allowed to every mischief. Aw, yay! She did the bear pose....that's my favorite! 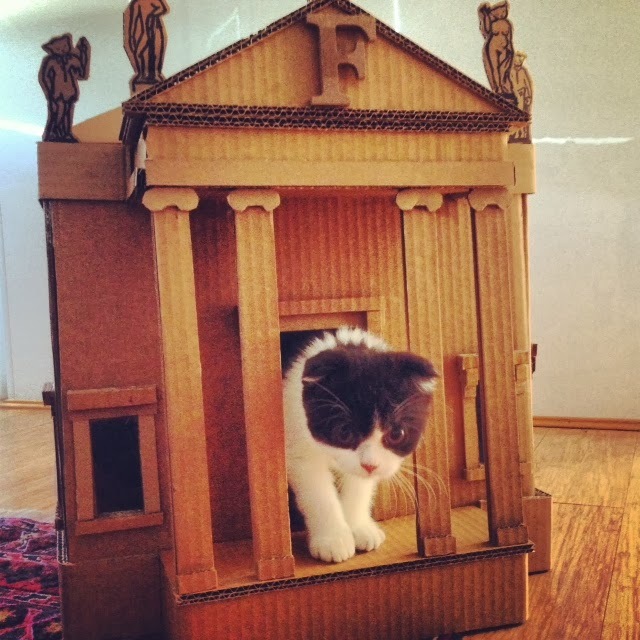 :D Awesome kitty house. Cute cat house! I love your cat. That bear pose is so sweet! Terrific work on Frankie's home...Palladio would be proud. that is such a gorgeous cat! Gorgeous kitty! So pleased she loves her house too.